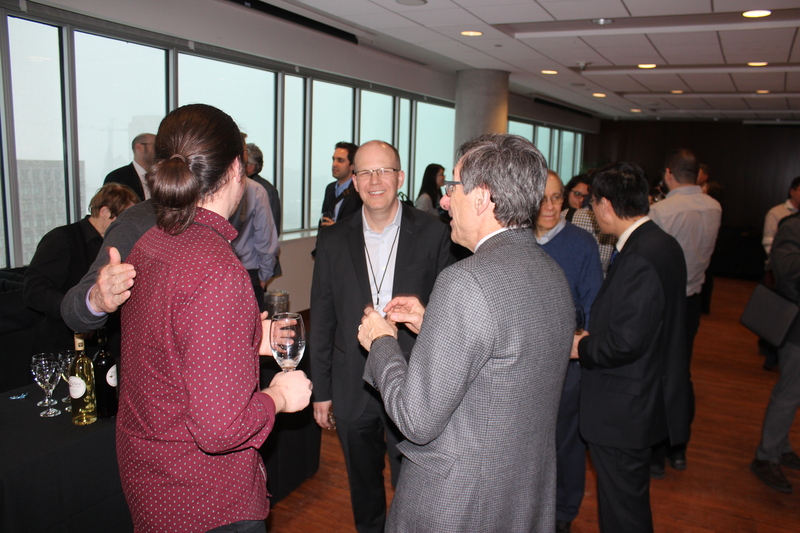 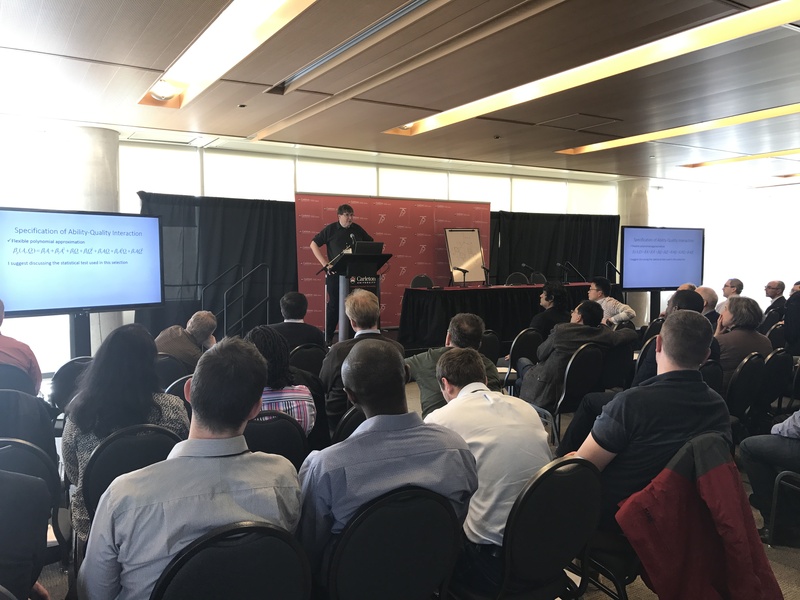 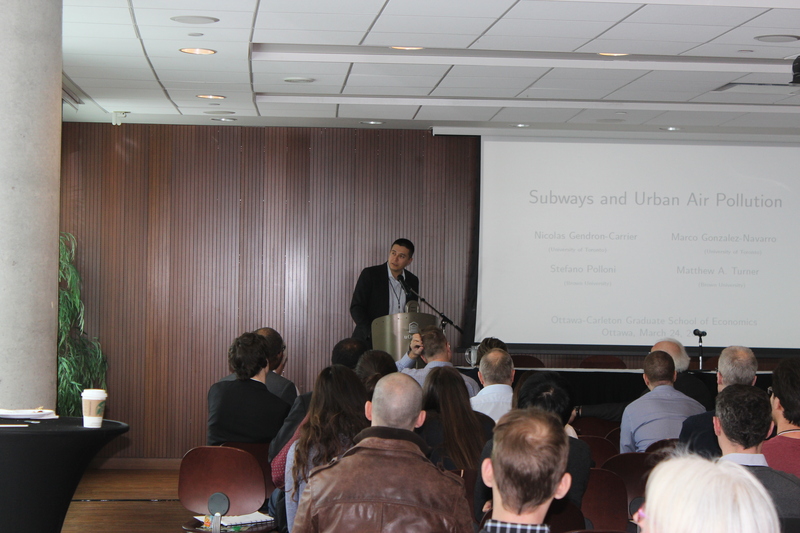 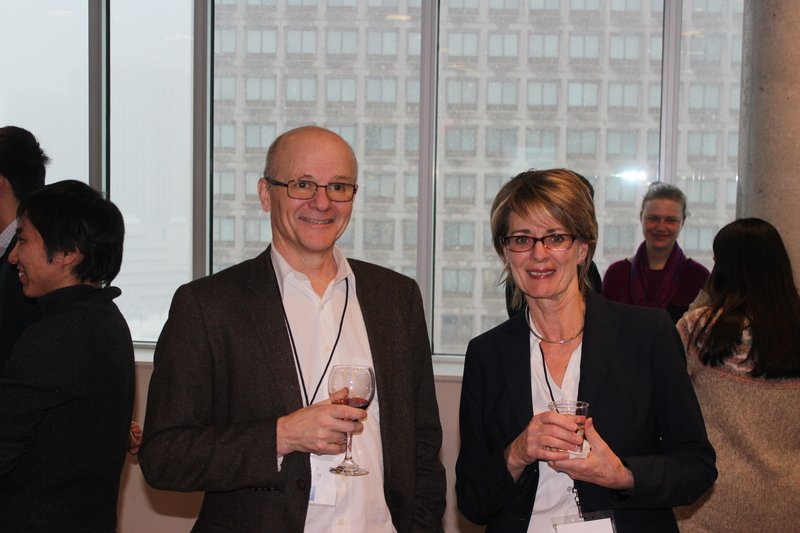 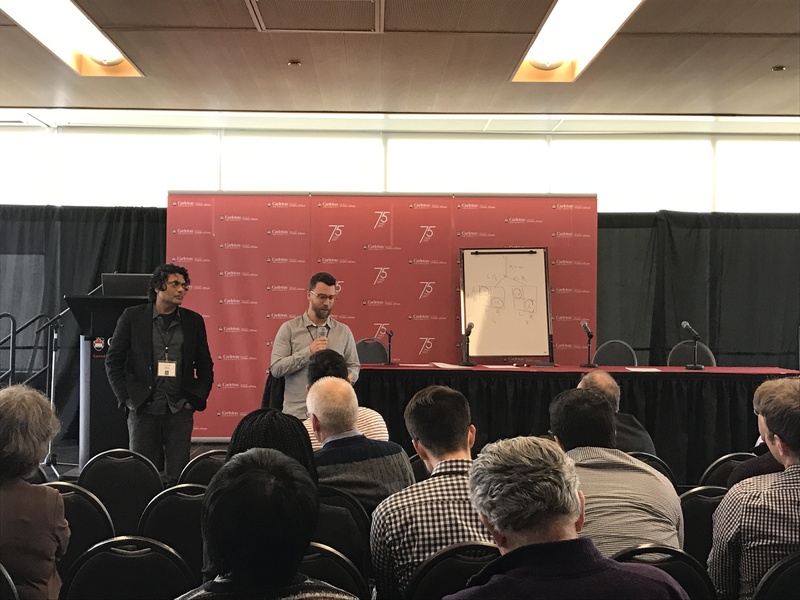 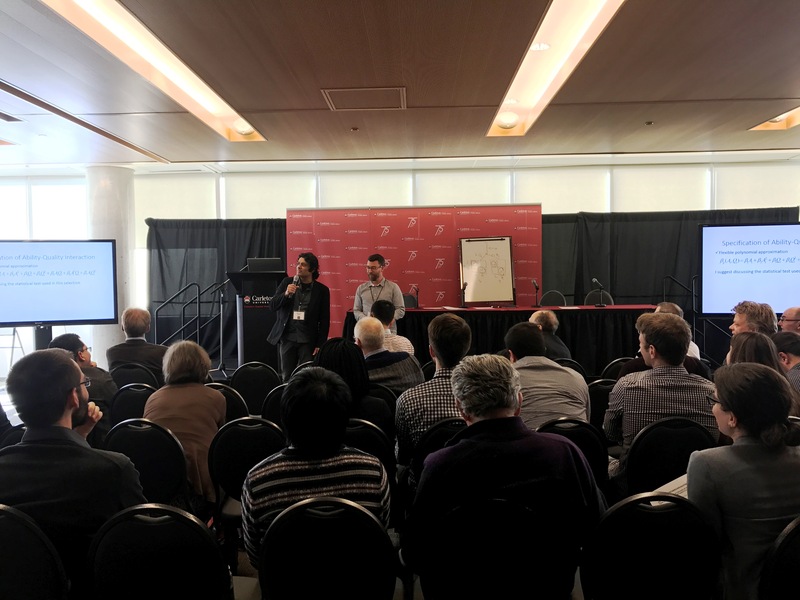 To officially launch the Ottawa-Carleton Graduate School of Economics (OCGSE), we held a conference on March 24th and 25th, 2017. 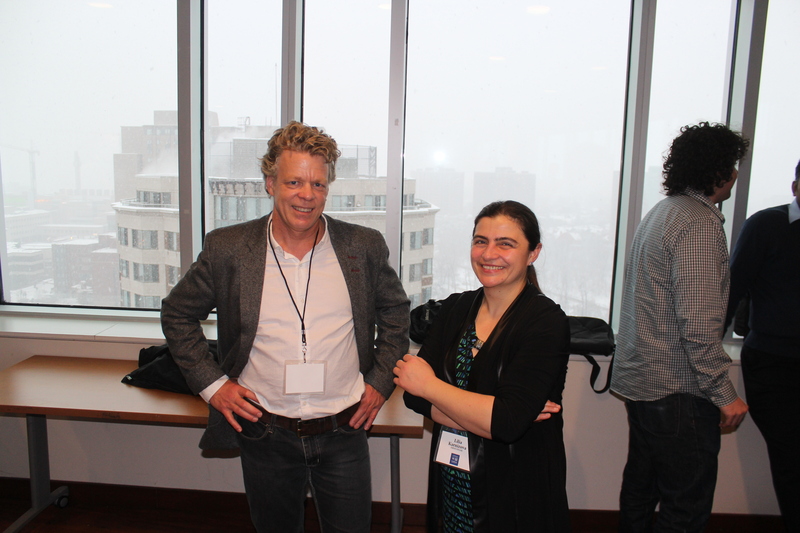 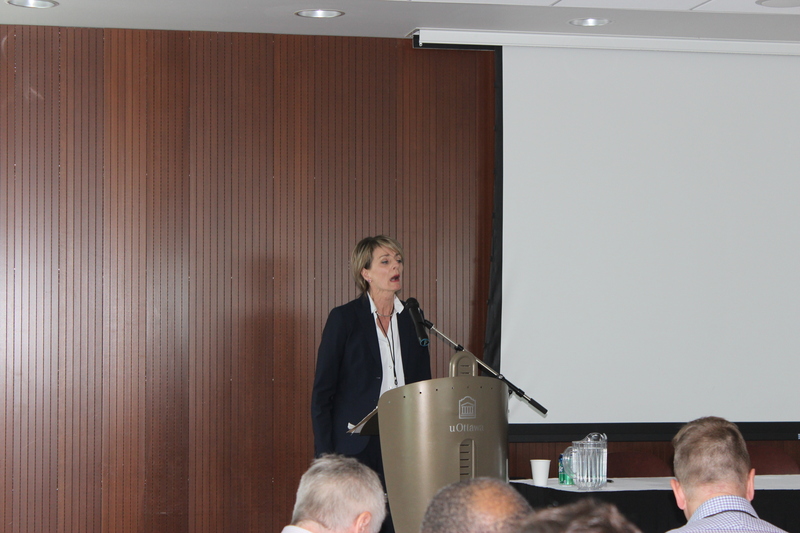 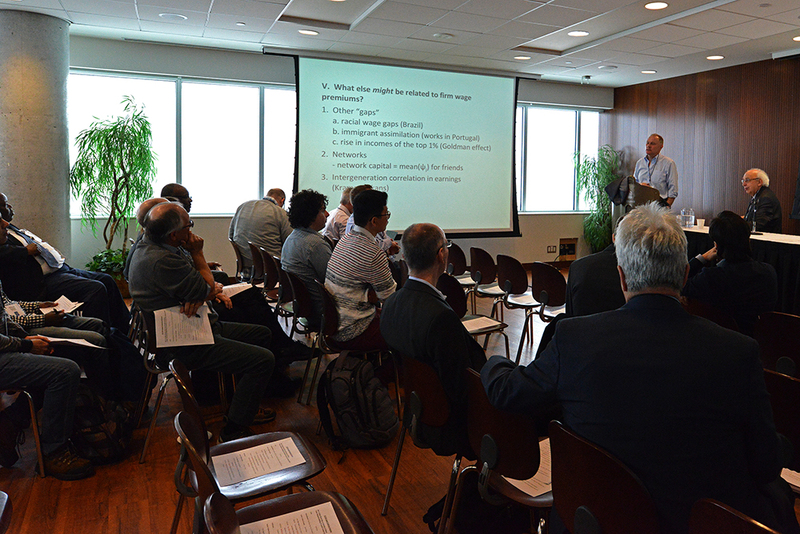 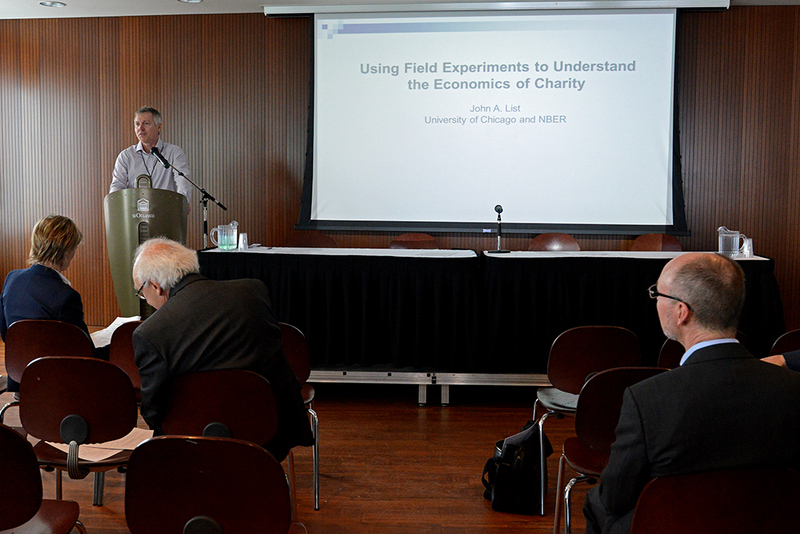 Sessions were held on the 24th at the University of Ottawa and on the 25th at Carleton University. 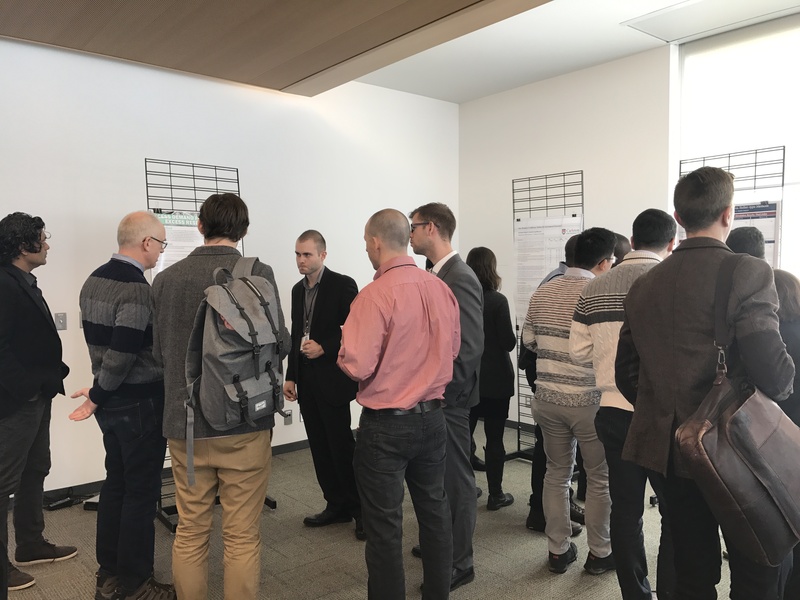 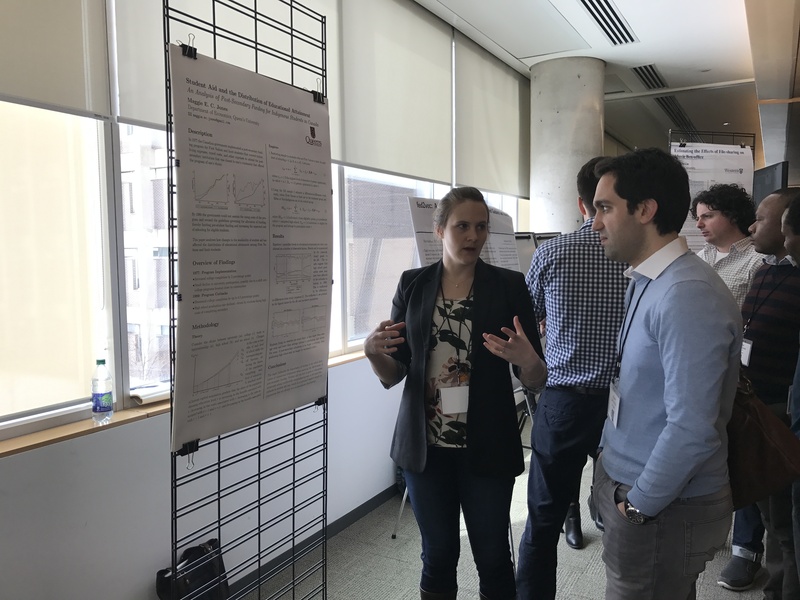 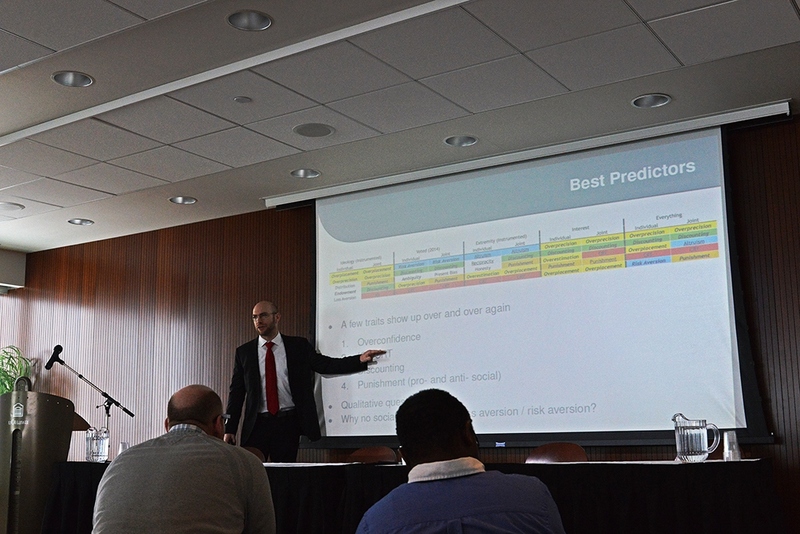 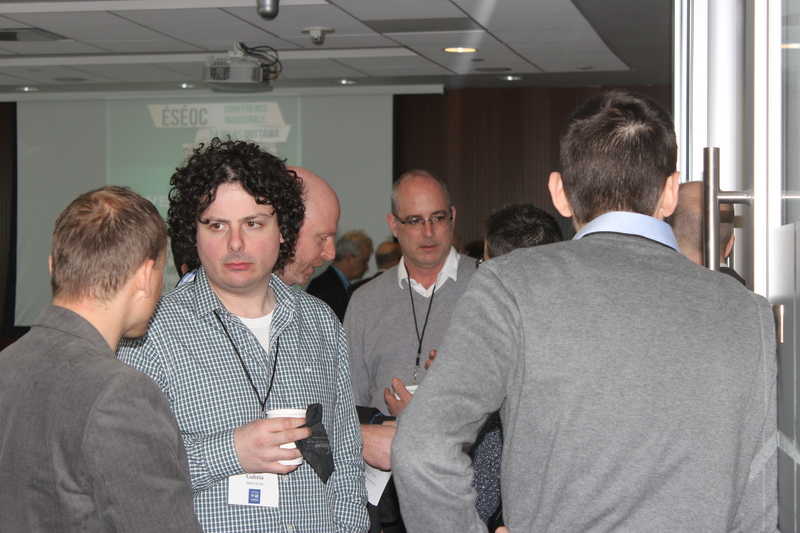 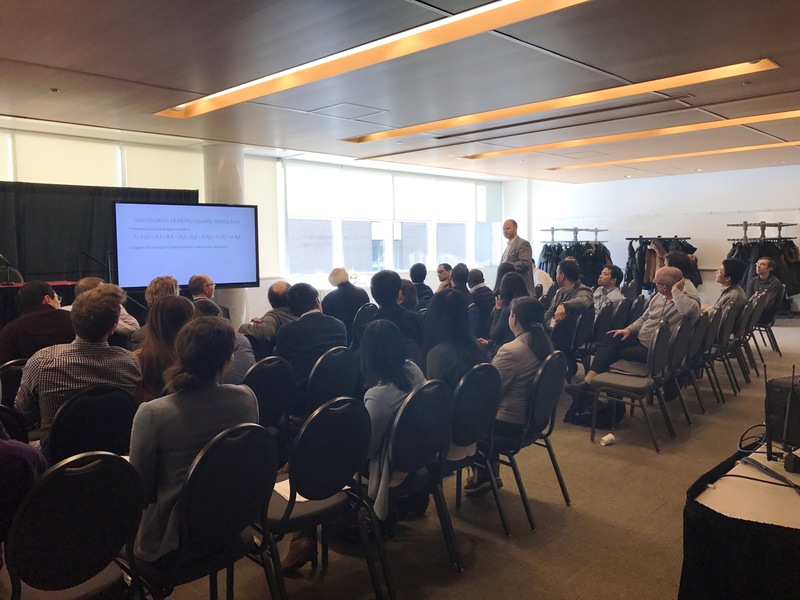 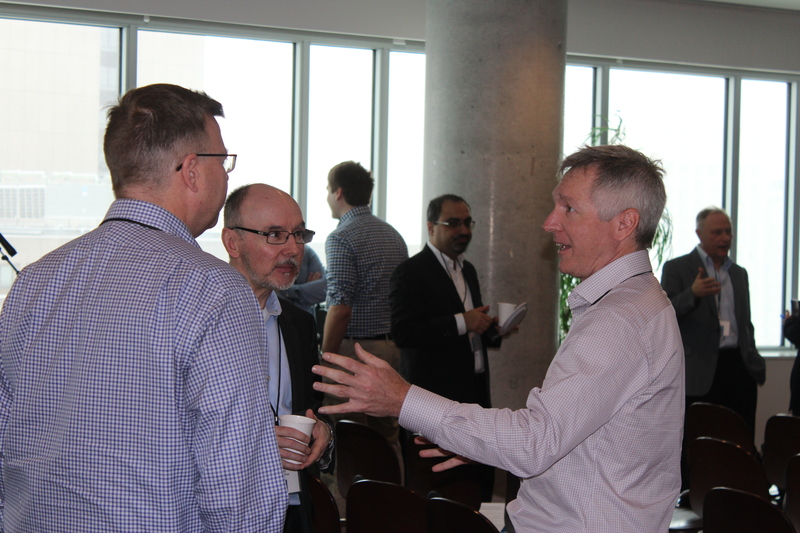 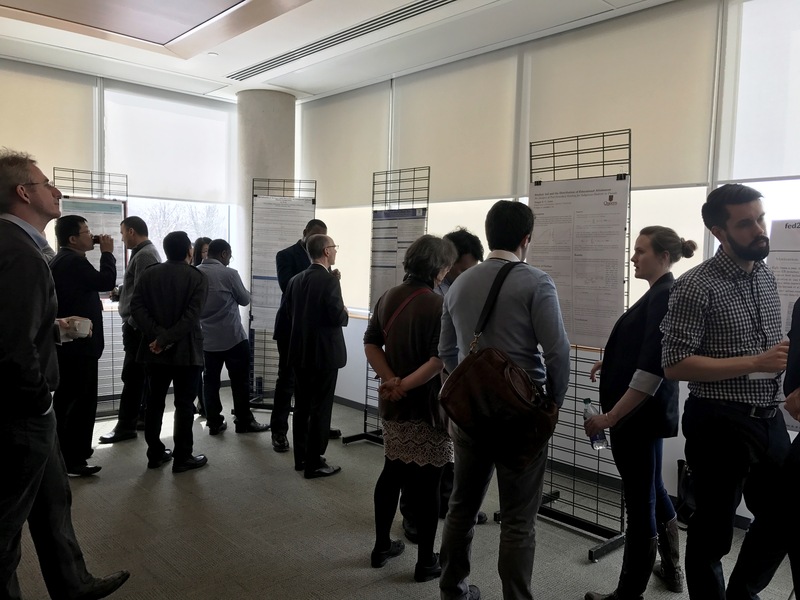 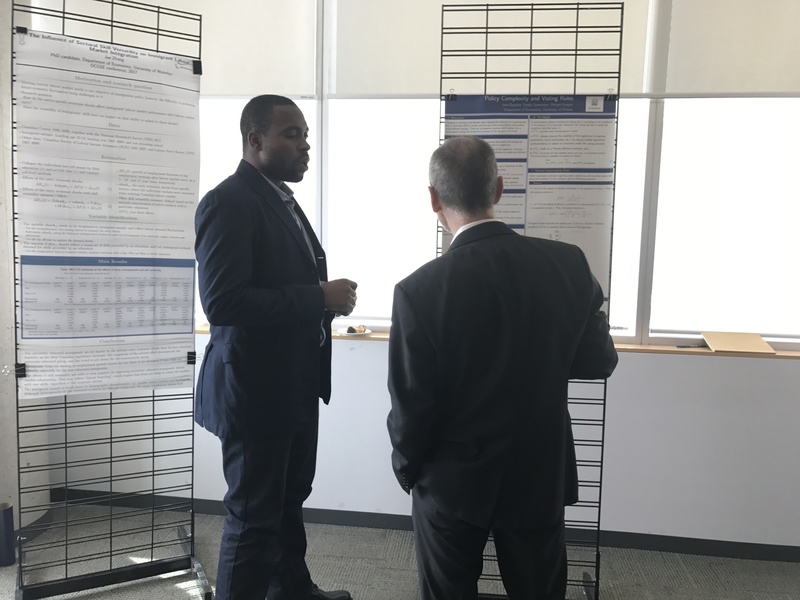 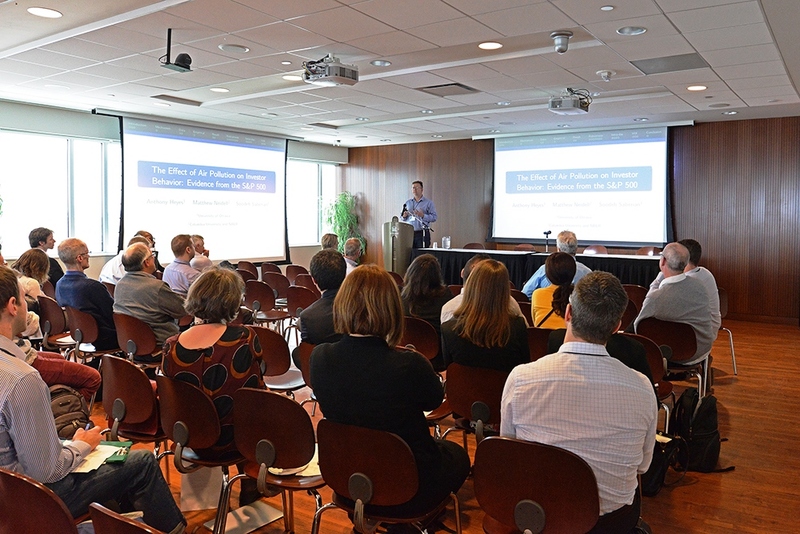 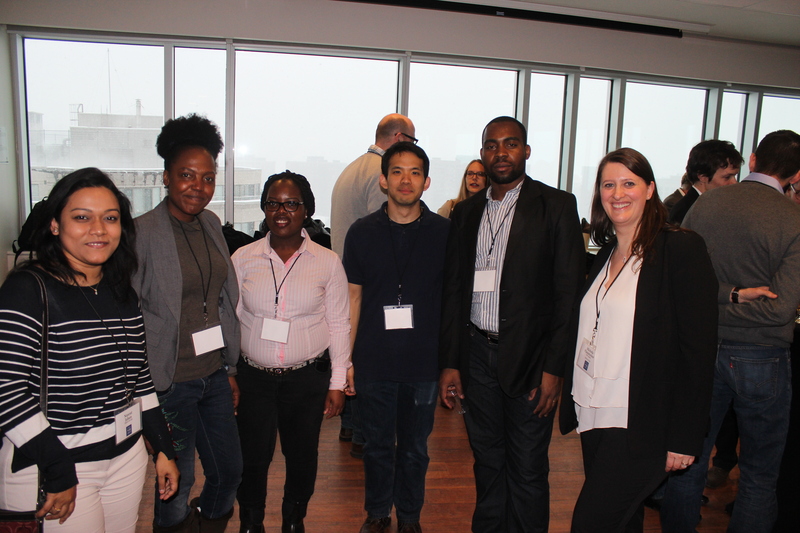 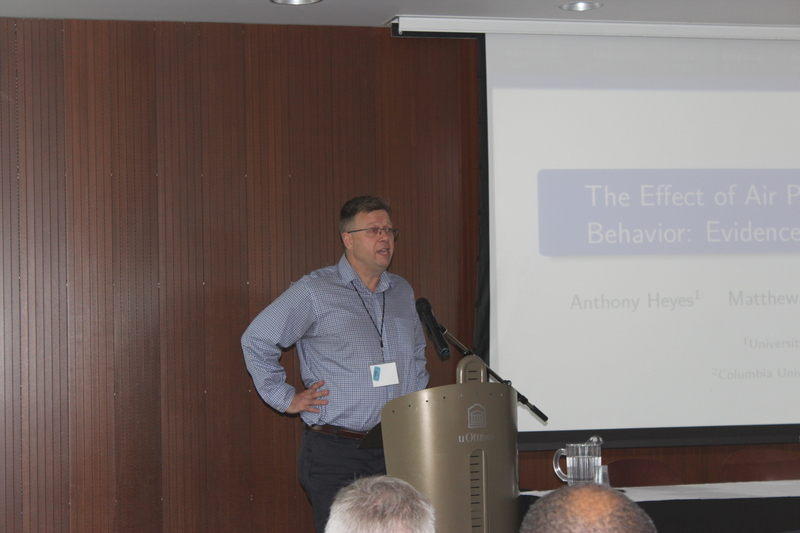 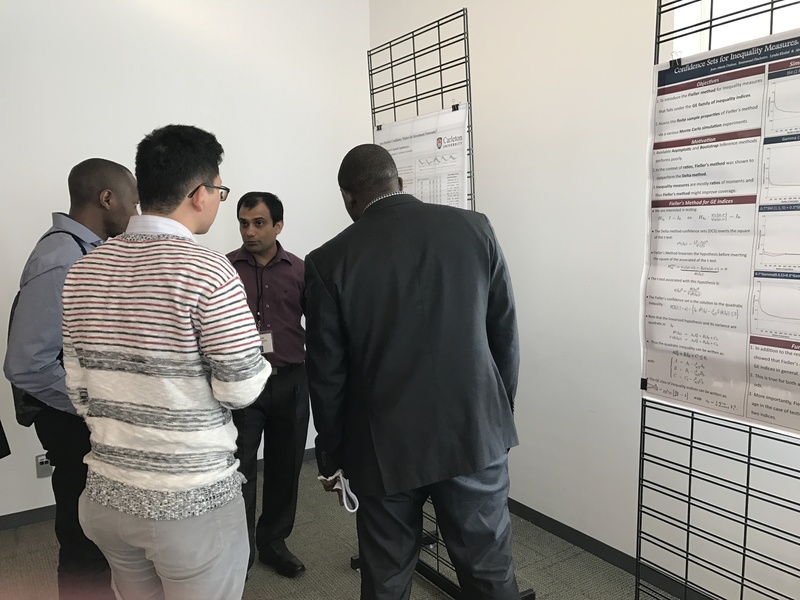 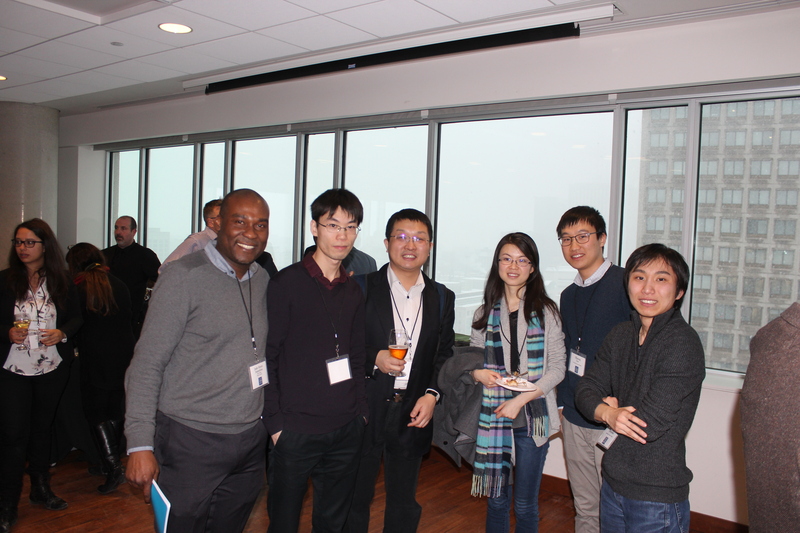 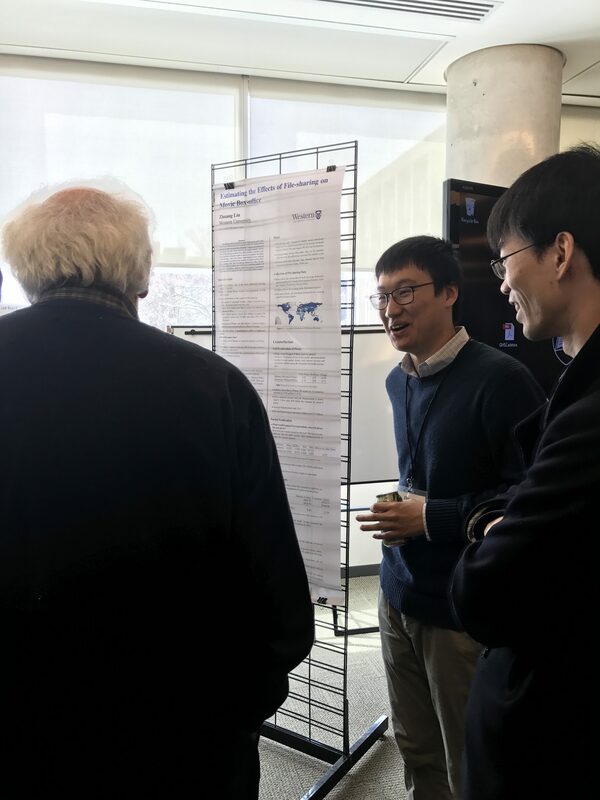 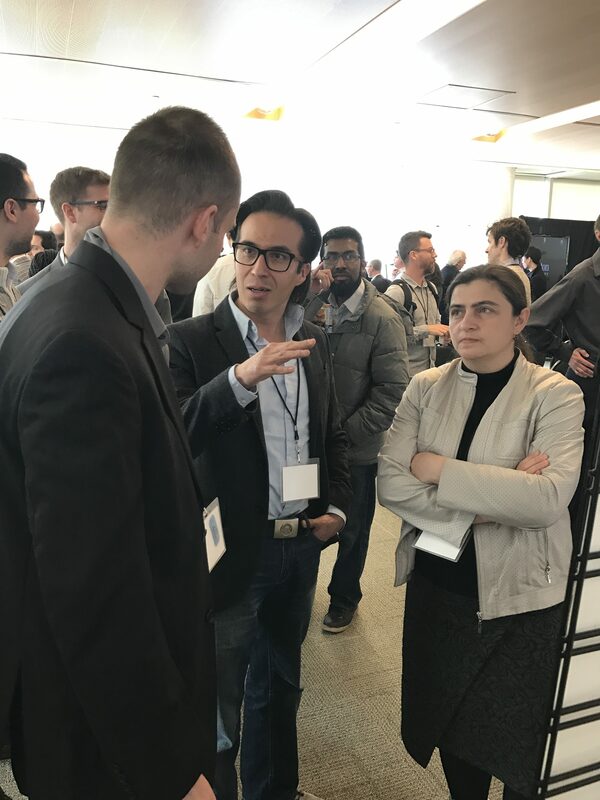 Well over 100 people participated each day with strong participation by OCGSE faculty and graduate students, as well academic economists and graduate students from other universities in Canada and public sector and private sector economists. 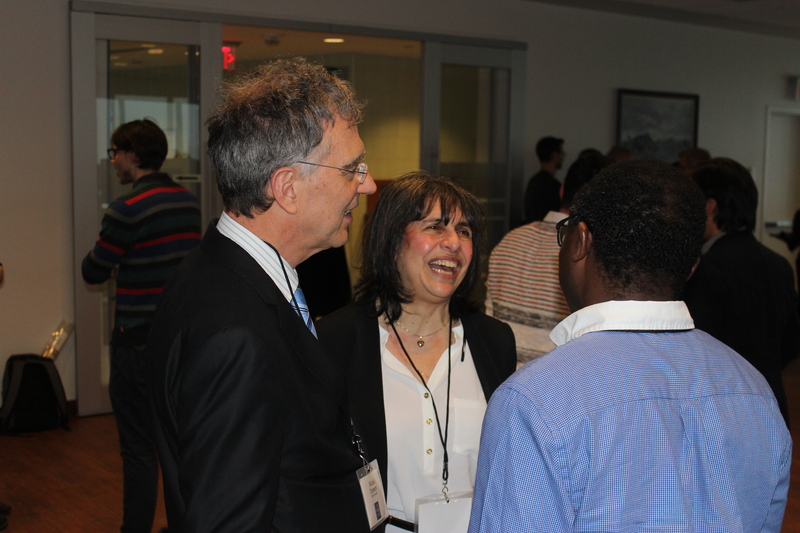 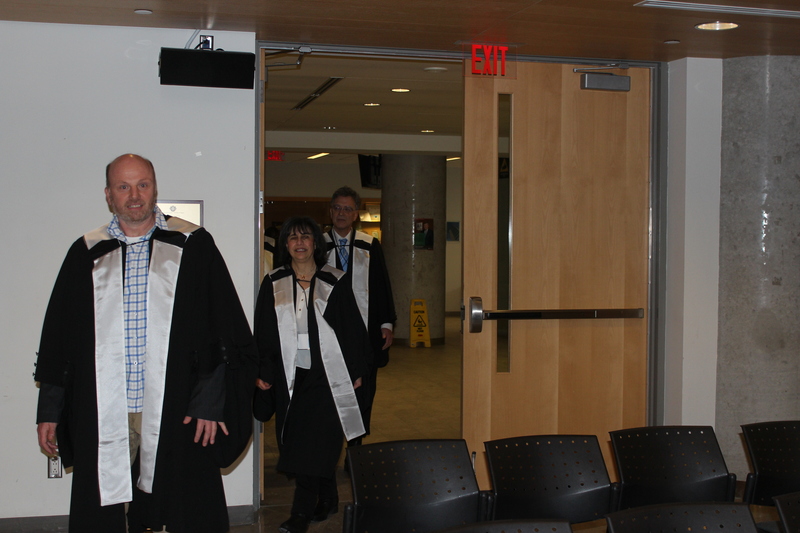 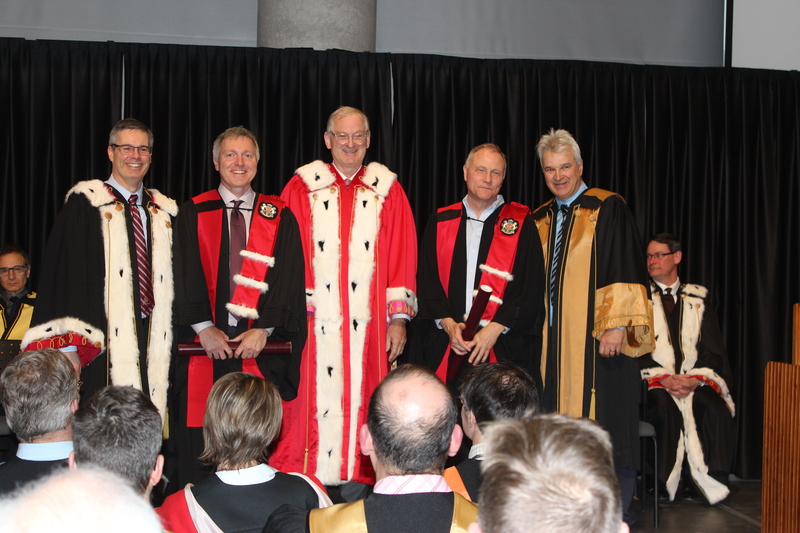 The first OCGSE convocation ceremony was held on the Friday with David Card (UC Berkeley) and John List (Univ. 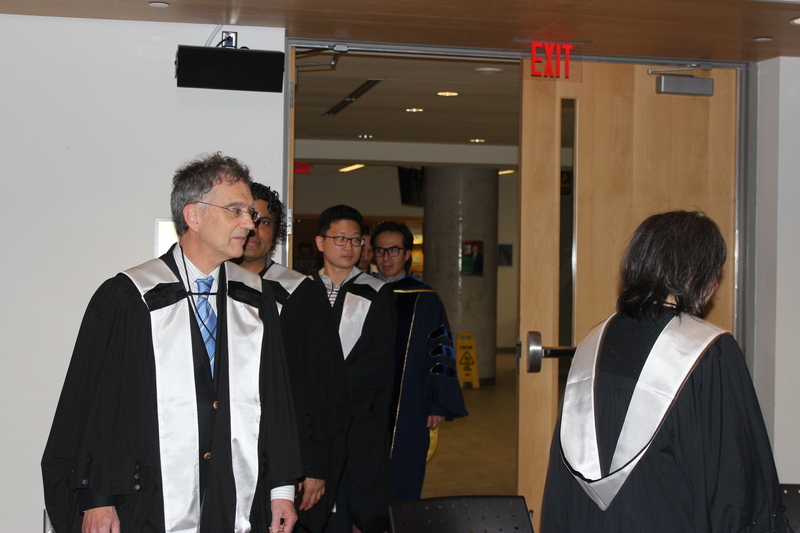 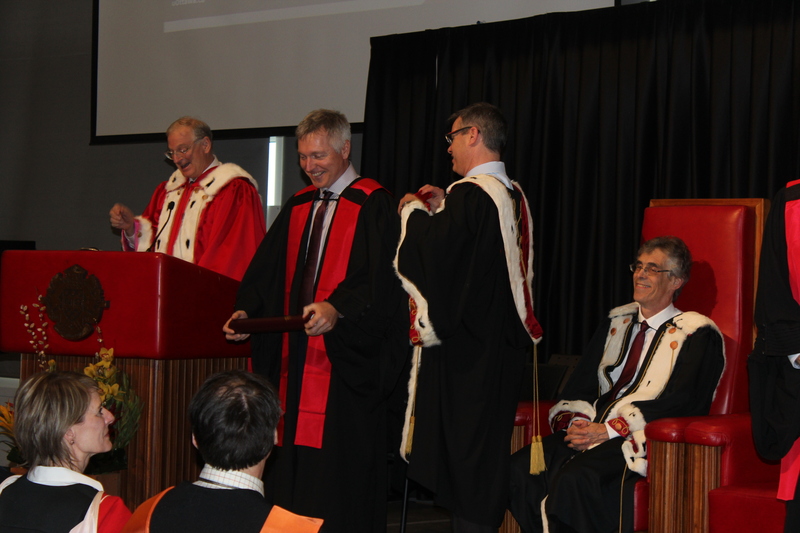 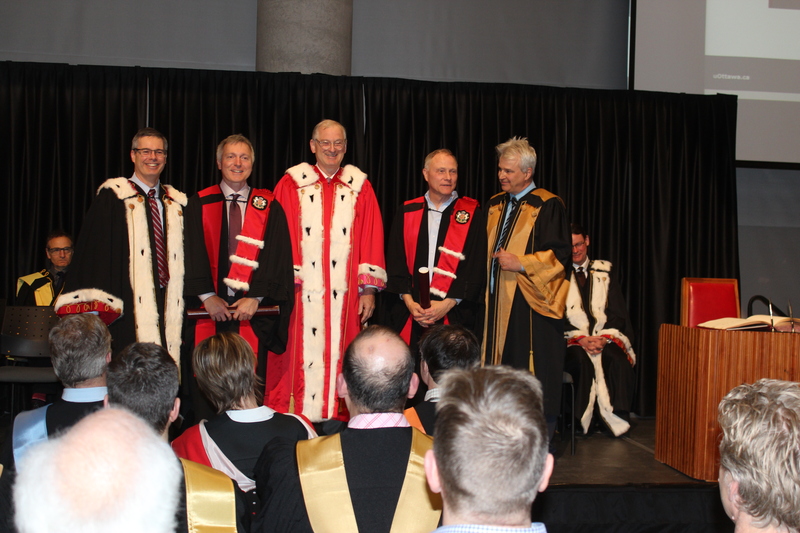 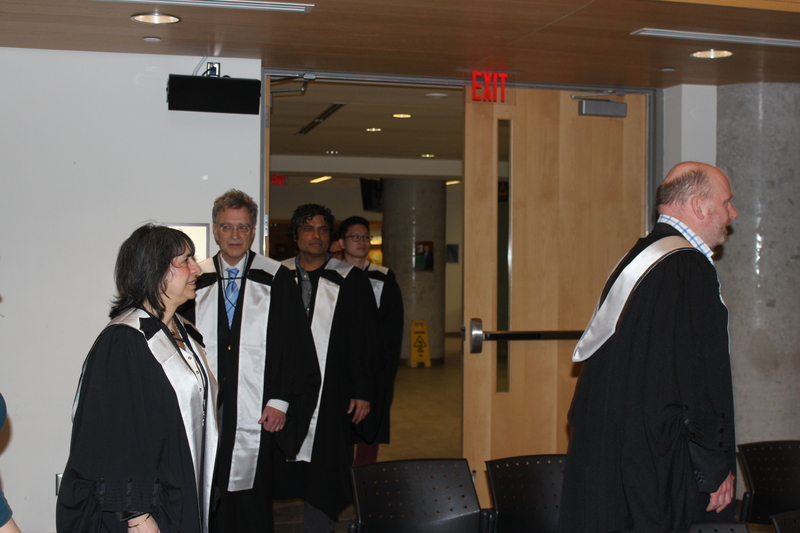 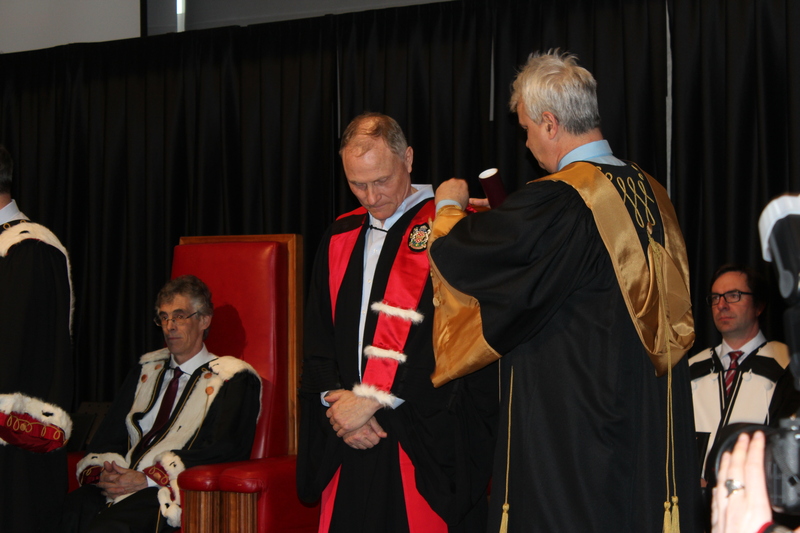 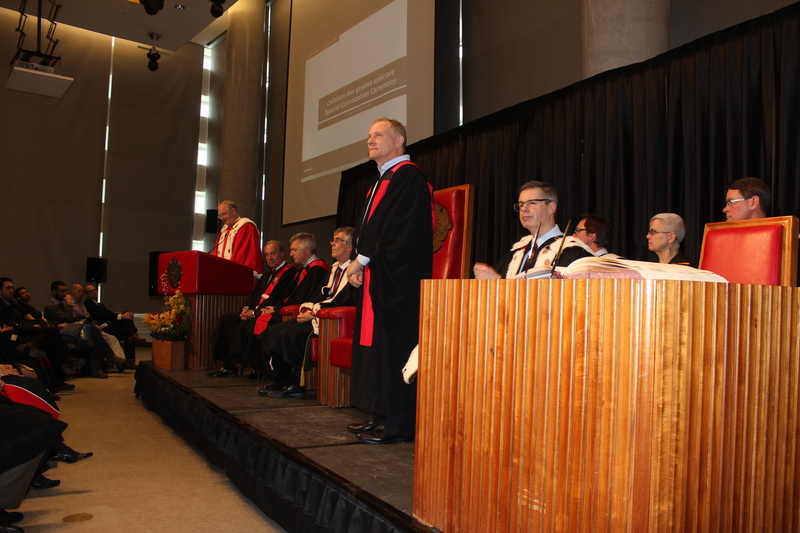 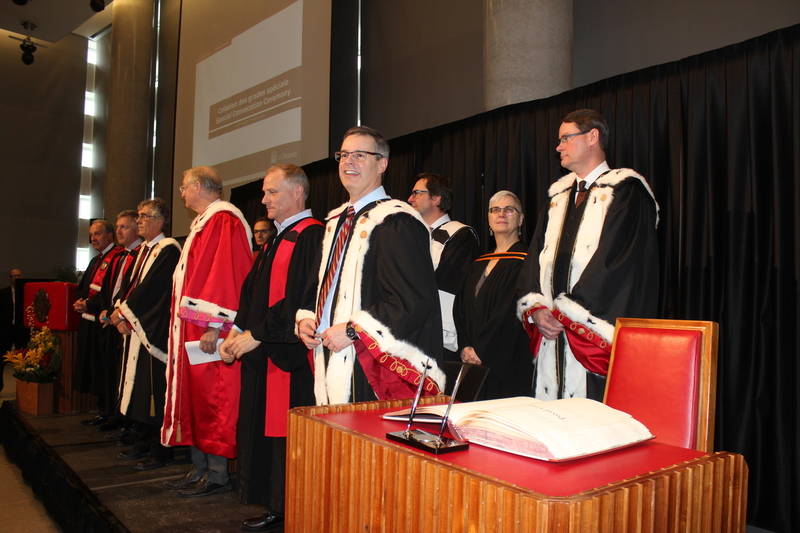 of Chicago) becoming the first honorary doctorate recipients of the Ottawa-Carleton Graduate School of Economics. 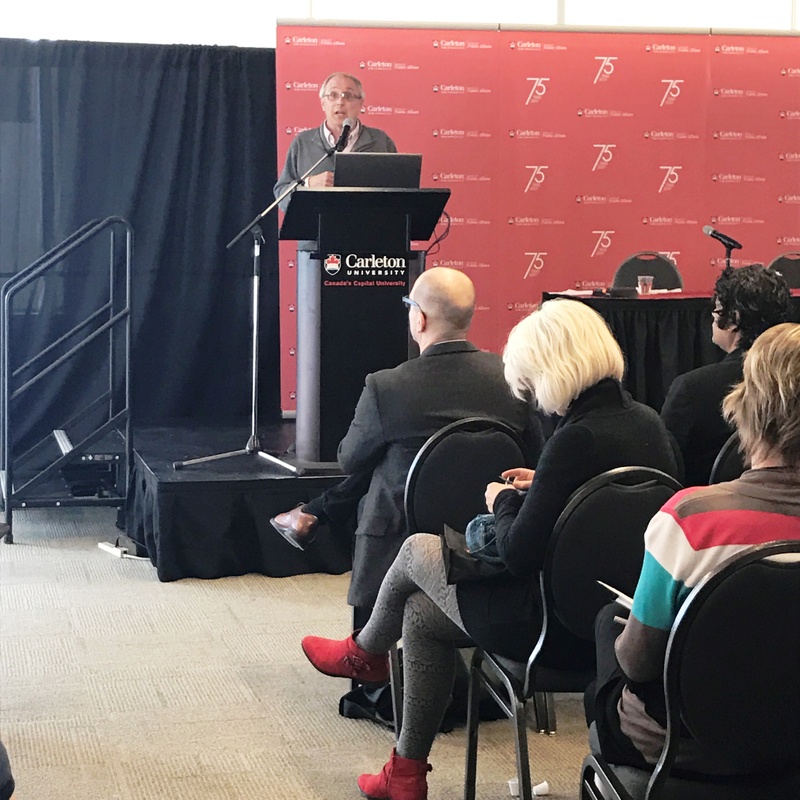 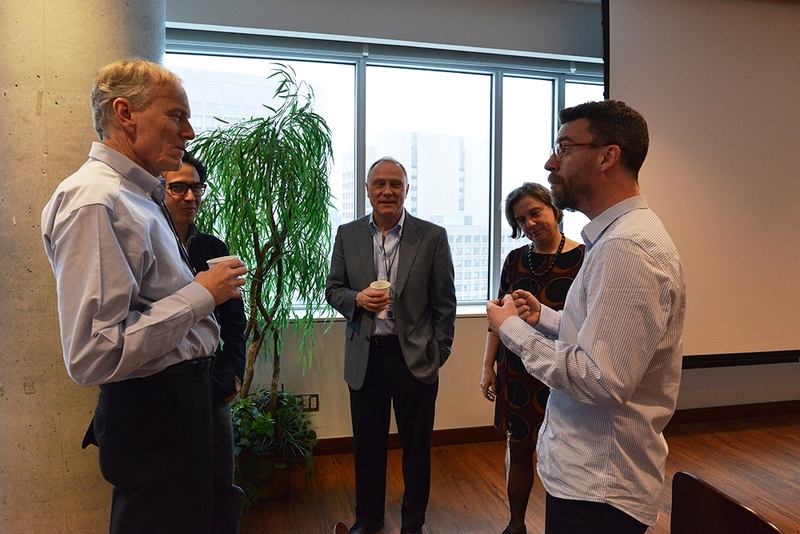 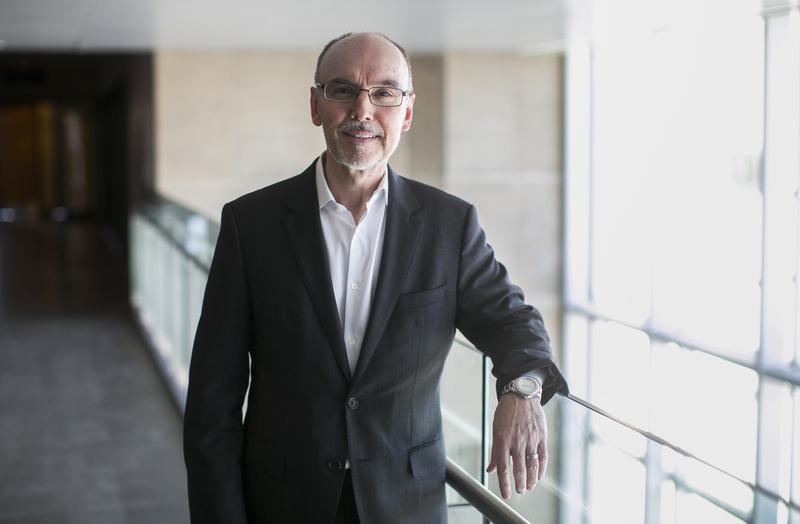 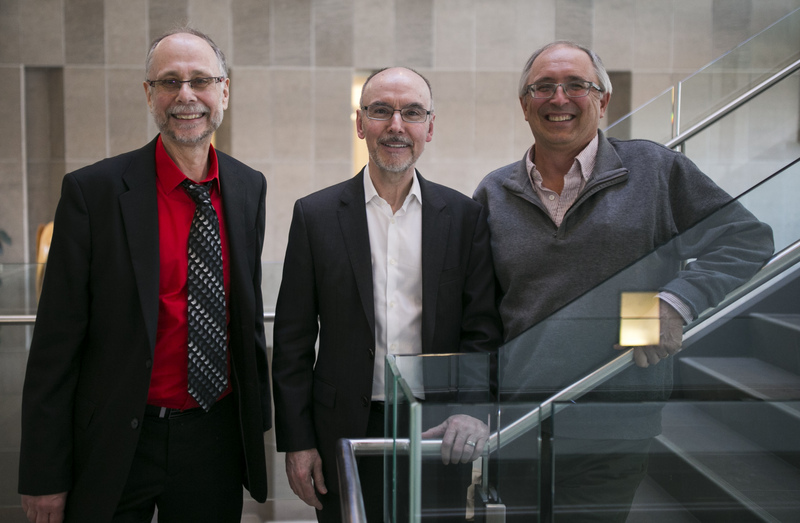 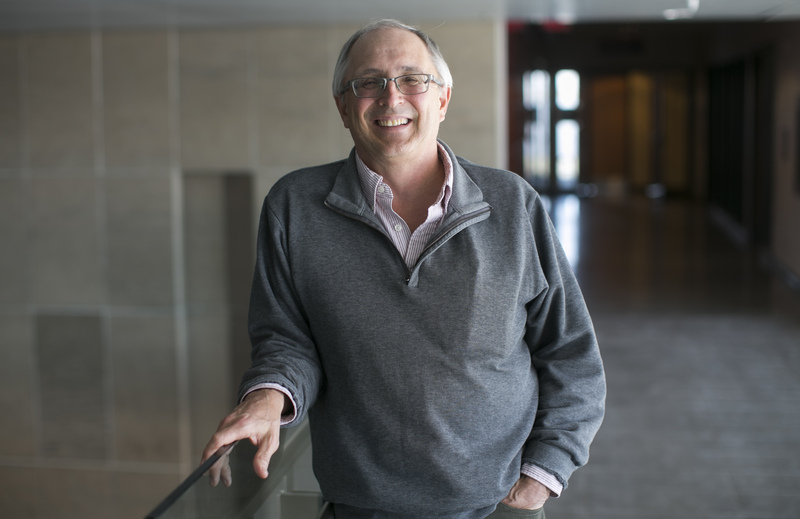 The strong momentum from the first day was carried into the second day which had a homecoming element with four of the speakers being Carleton Economics alumni: Douglas Gale (NYU Professor and Carleton BA, 1972), Jeremy Greenwood (Univ. 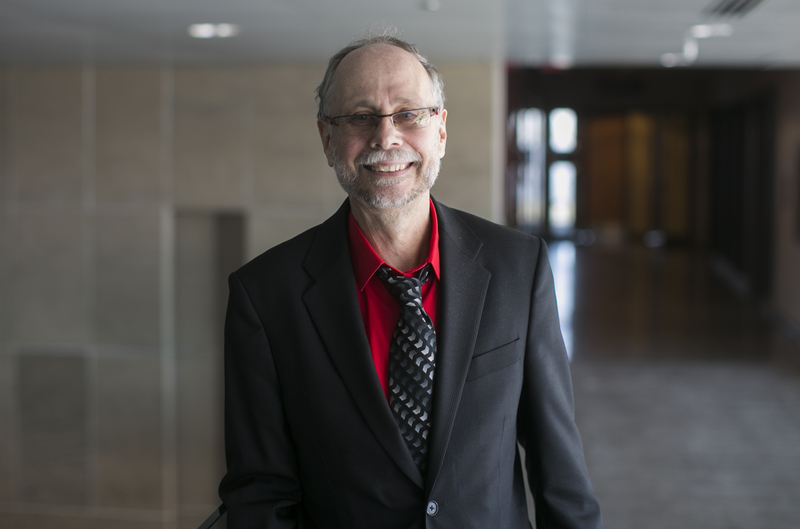 Pennsylvania Professor and Carleton BA 1977 and MA 1978), Peter Kuhn (UC Santa Barbara Professor and Carleton BA, 1977) and Philip J. Reny (Univ. 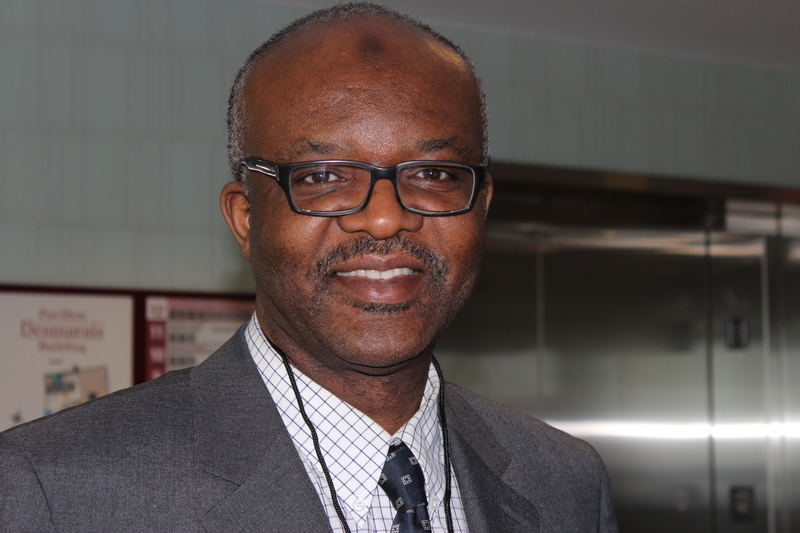 of Chicago Professor and Carleton BA, 1981). 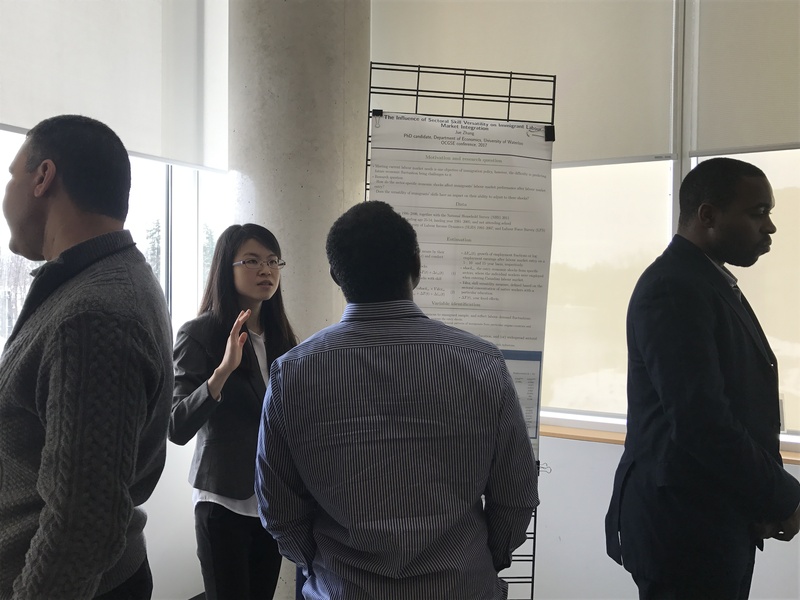 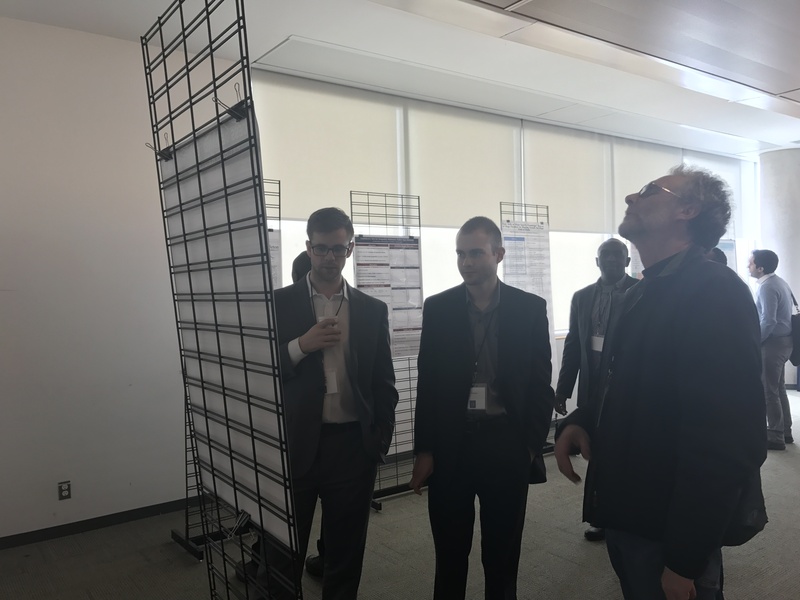 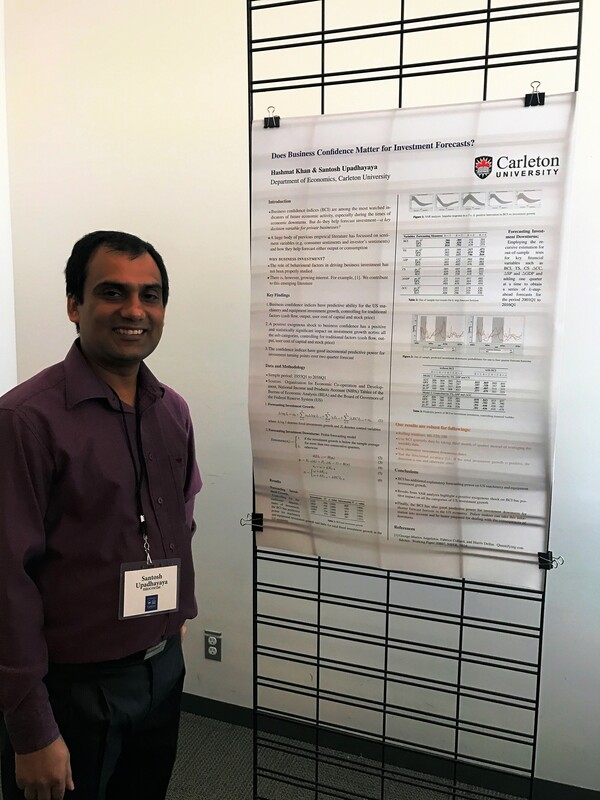 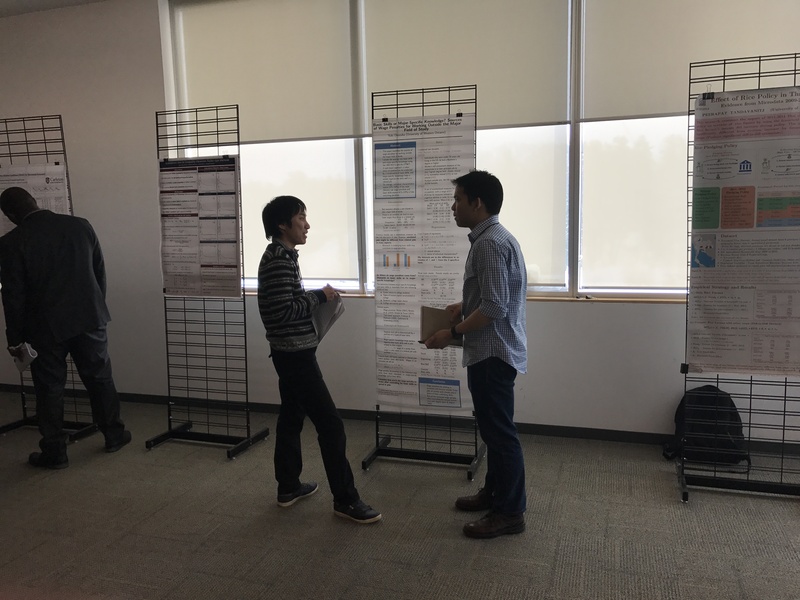 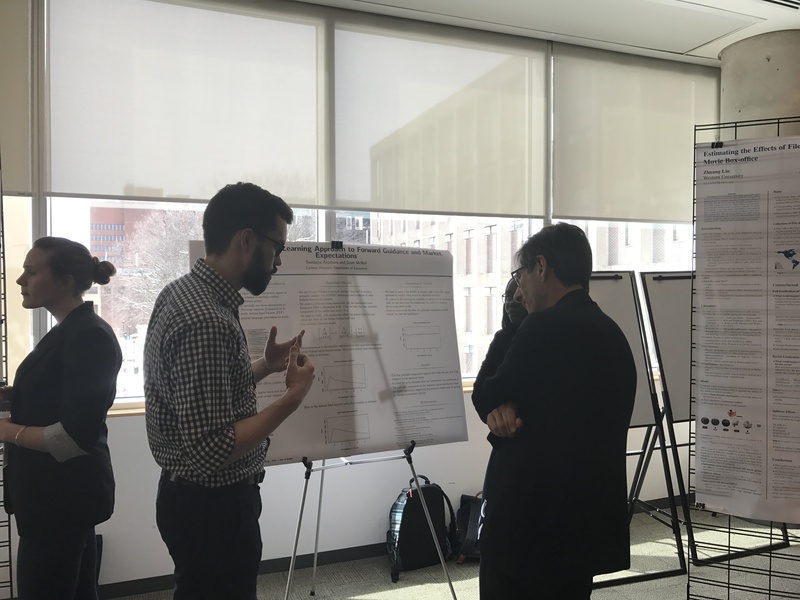 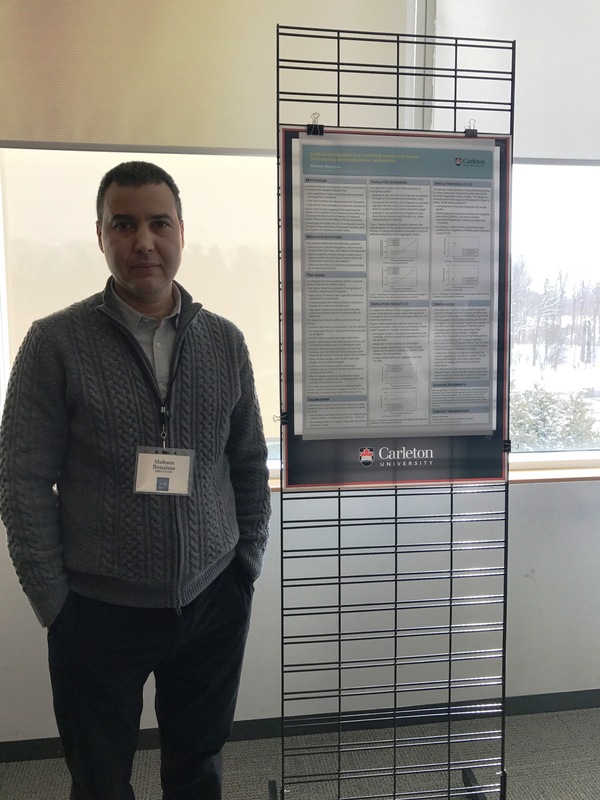 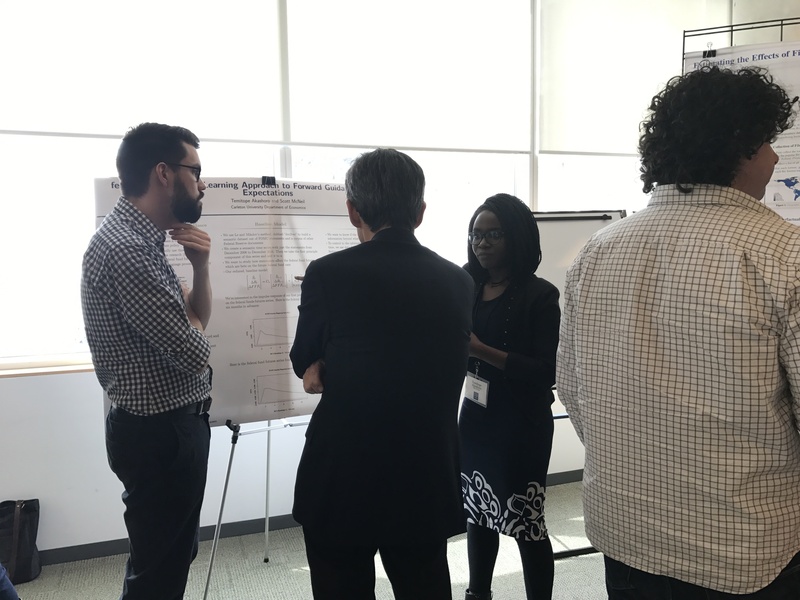 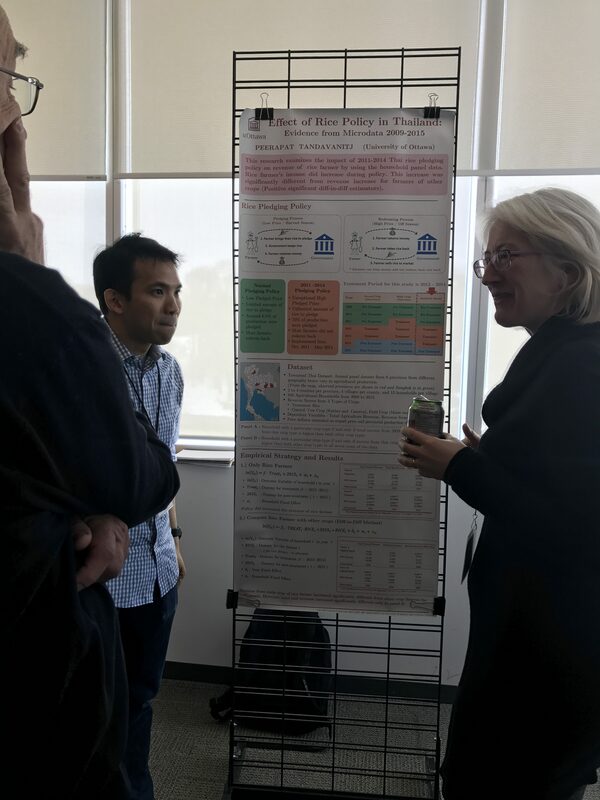 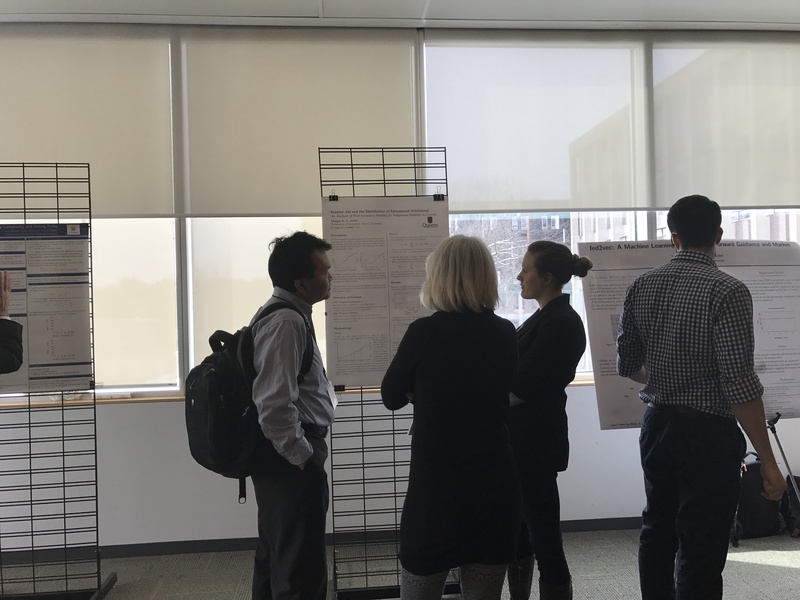 Also on the second day, Frances Woolley organized an outstanding poster session where graduate students of the OCGSE, Queen’s University, Western University and the University of Waterloo presented their research. 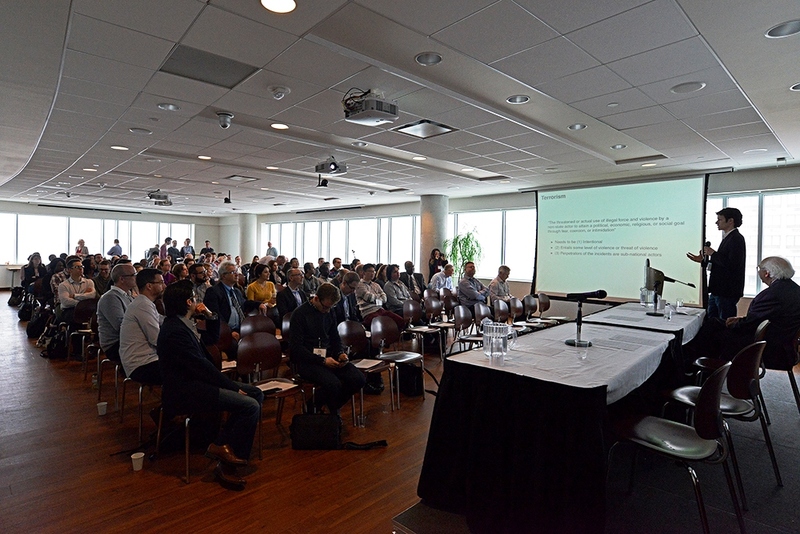 For a complete list of presenters, chairs and discussants, please see the OCGSE Launch Conference program here. 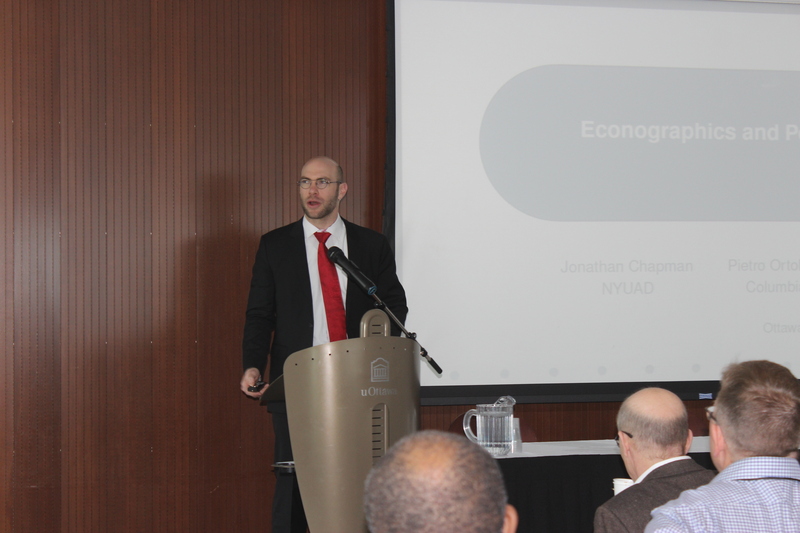 The OCGSE is quickly emerging as a leading location both in Canada and internationally for graduate education in Economics. 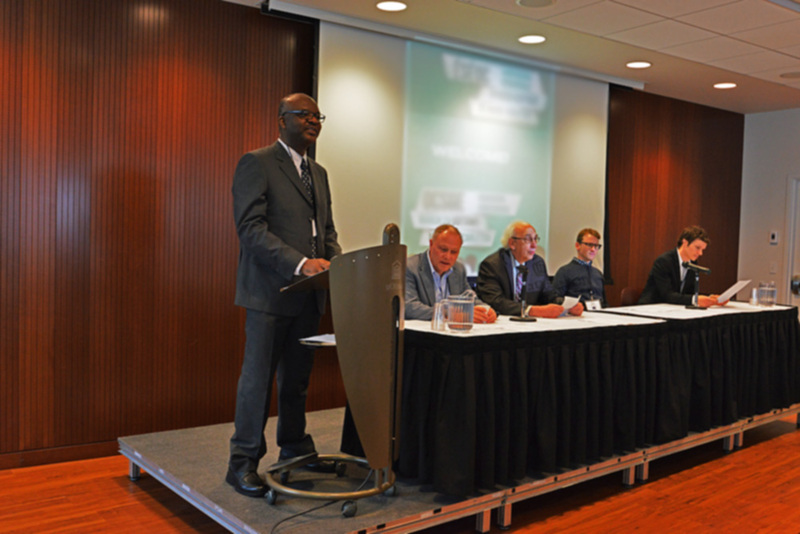 Information on our programs can be found here.